This teacher grade book Excel template is perfect for teachers. 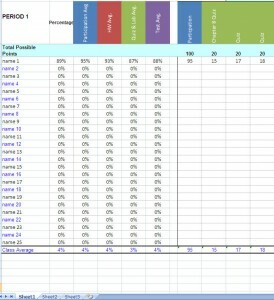 It contains areas for assignments, points, grade calculations, averages, etc. It includes specific instructions on how to use and modify the template. You can download this great Teacher Grade Book for free today!